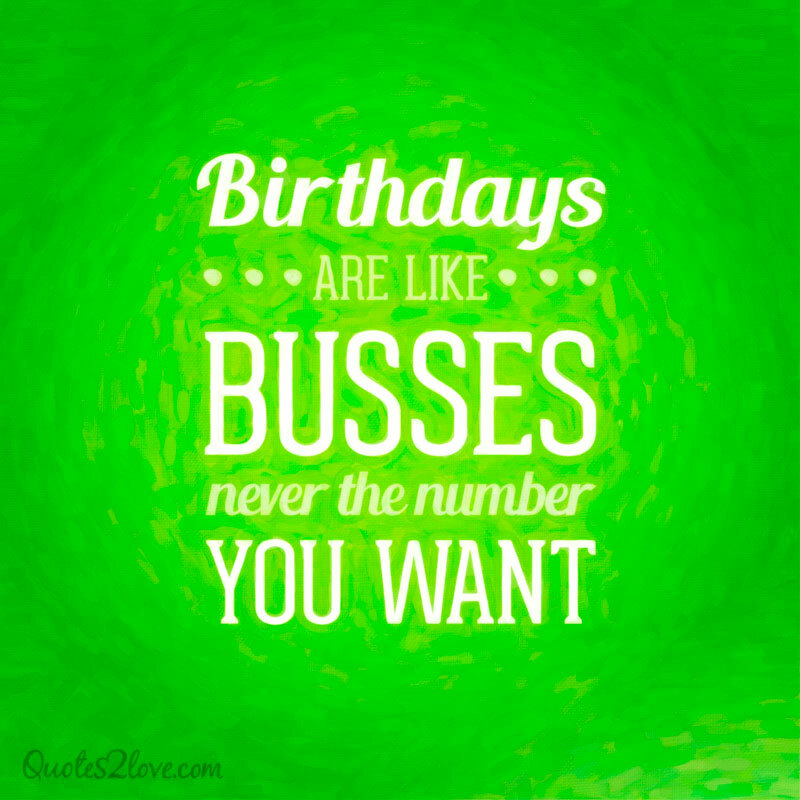 Funny is the way to go on birthdays! 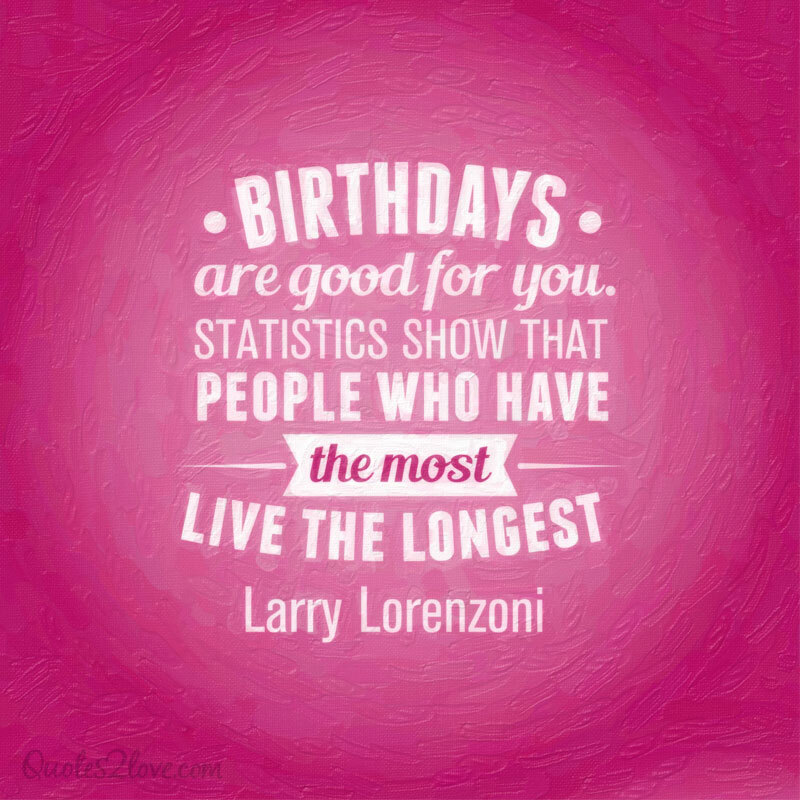 Wish your friend, member of the family or partner happy birthday with these funny quotes, sayings and one-liners that will make them laugh on their most important day of the year! 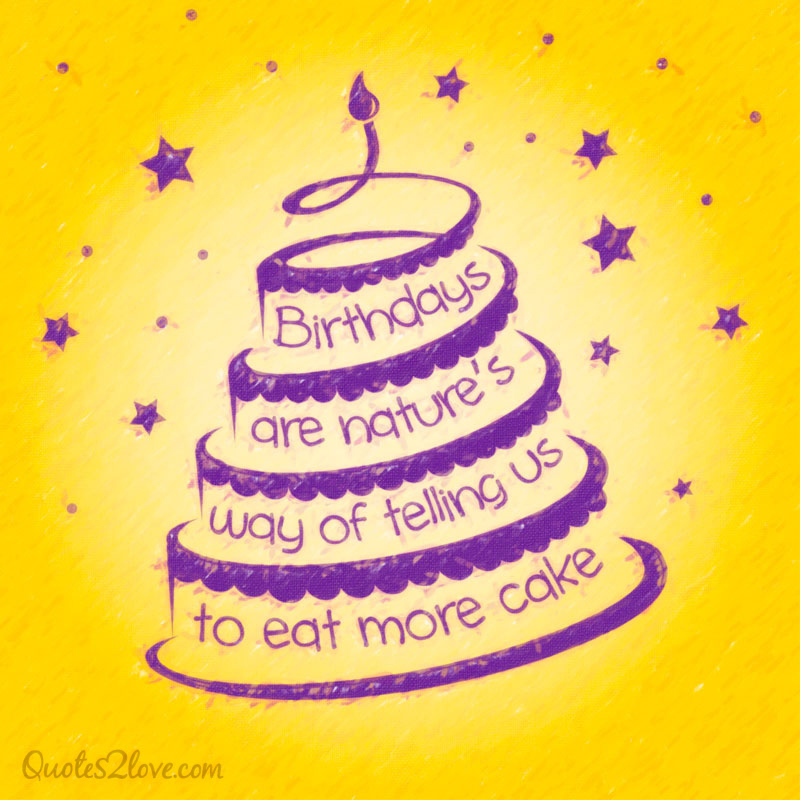 Birthday greetings don’t have to be cheesy and boring. 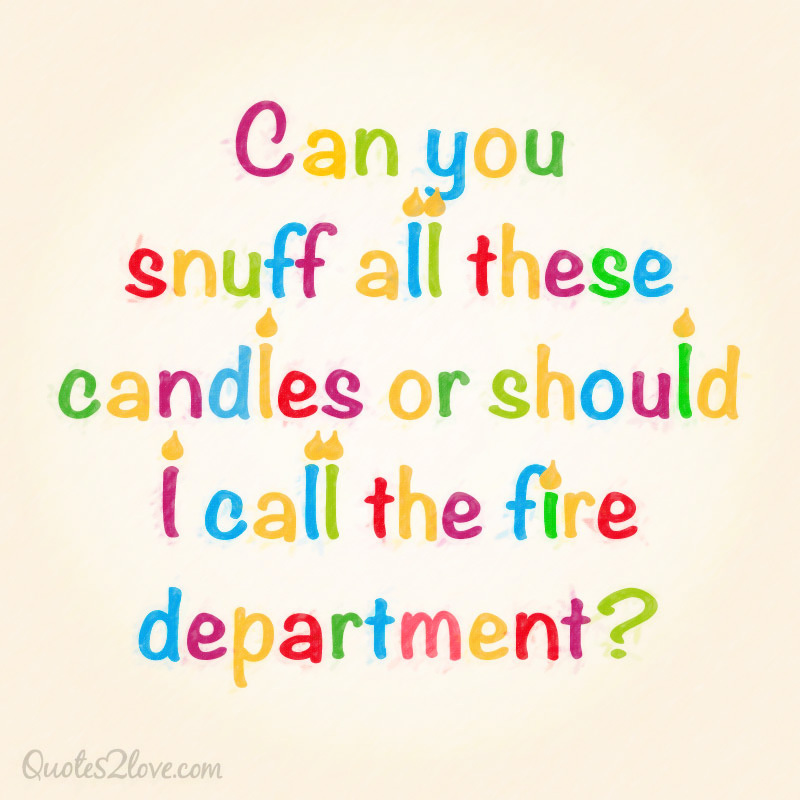 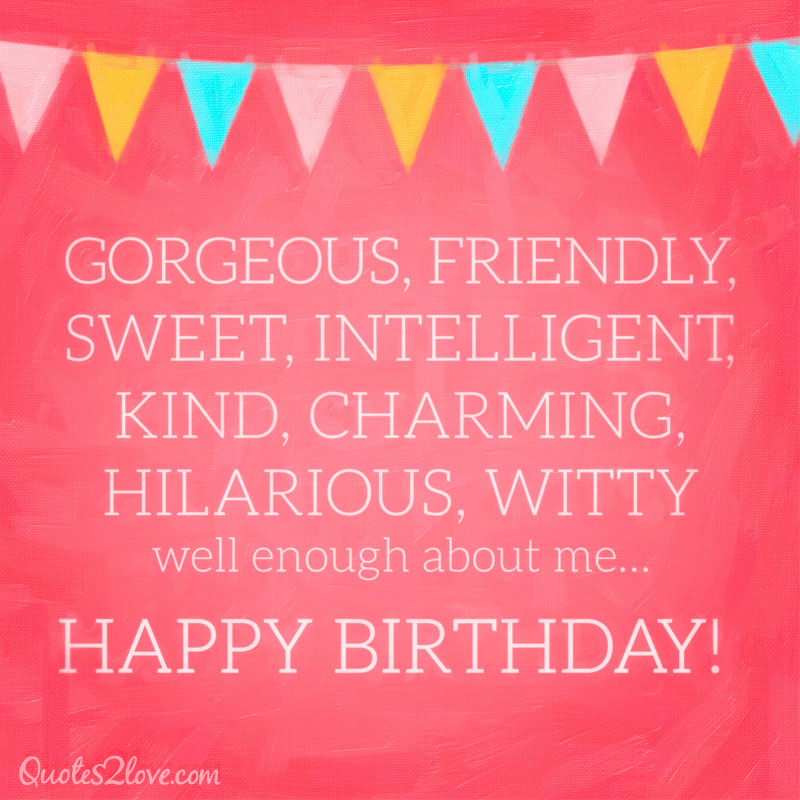 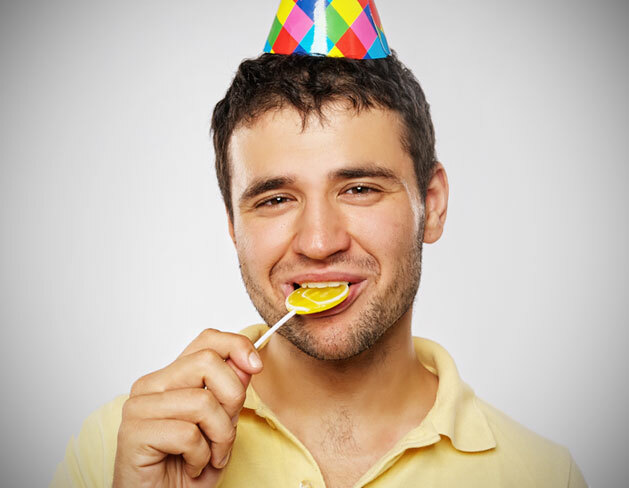 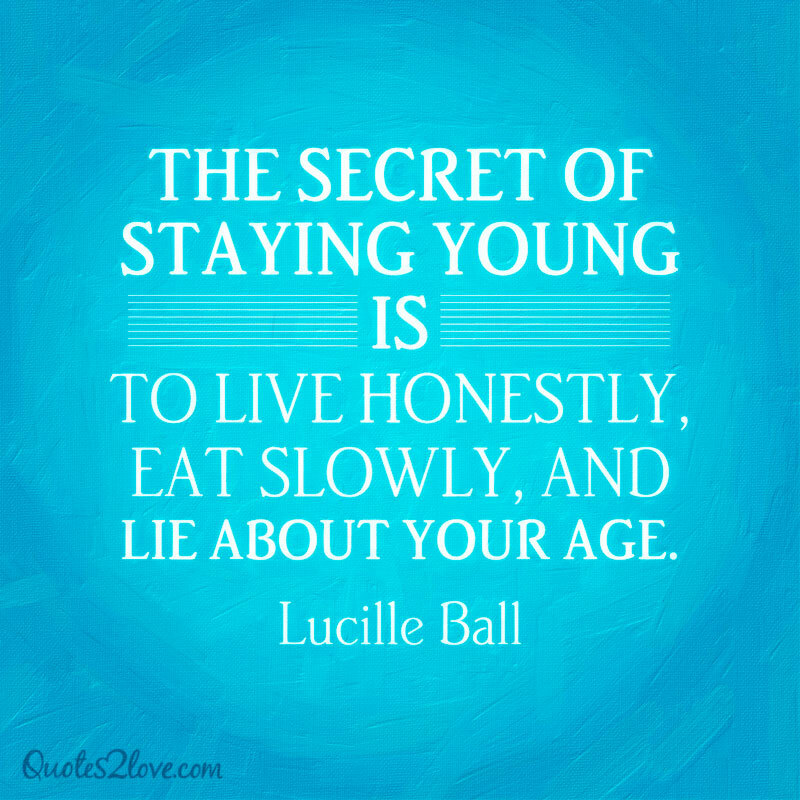 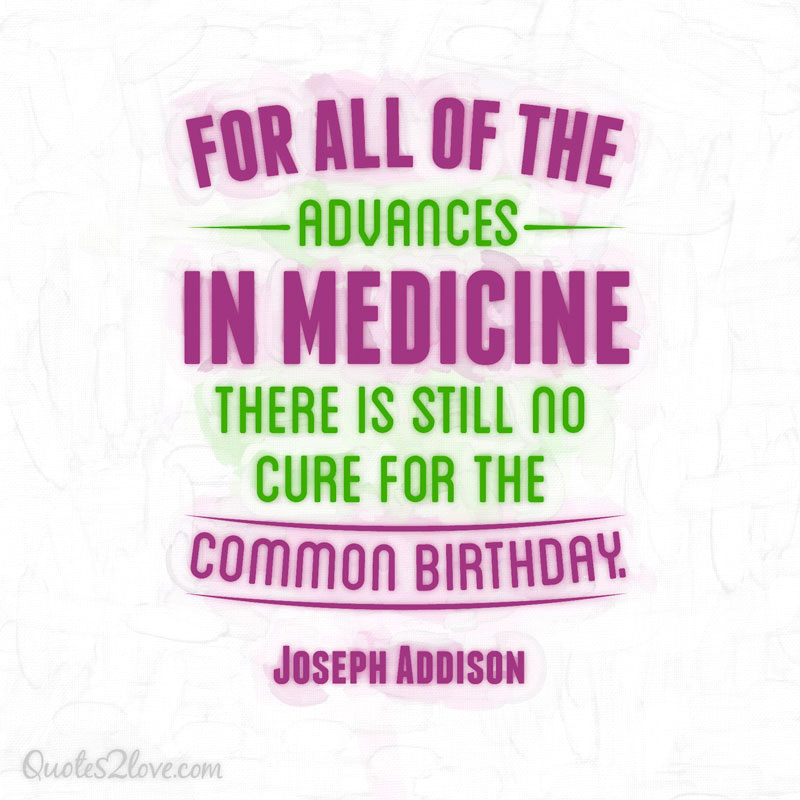 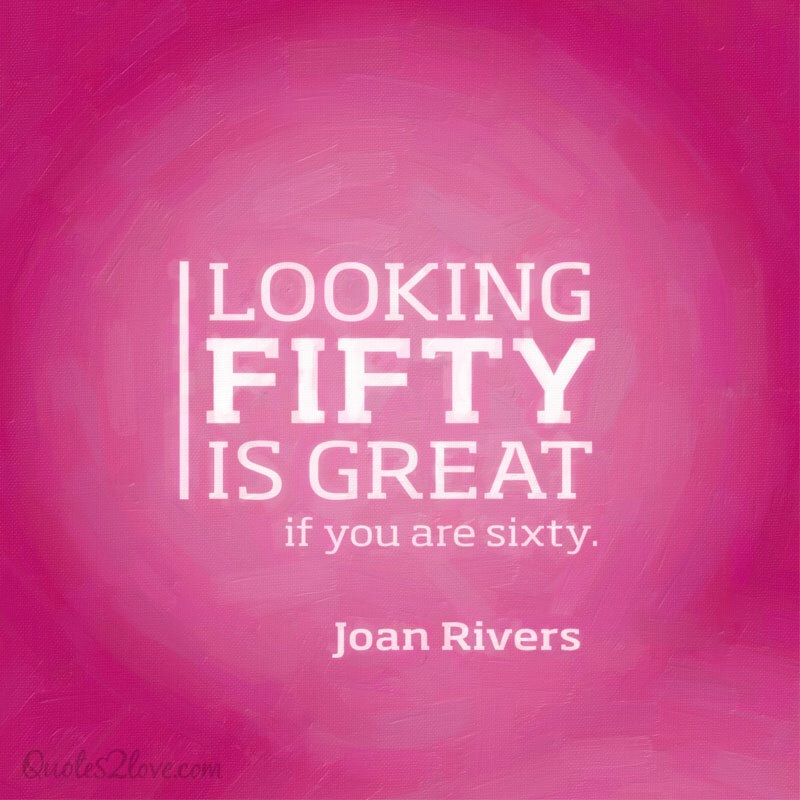 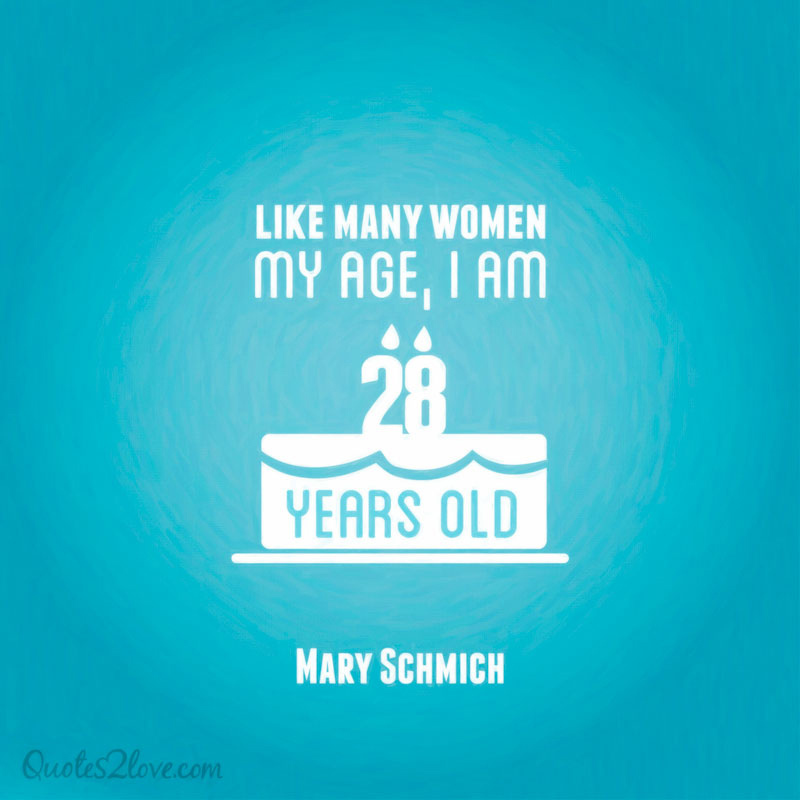 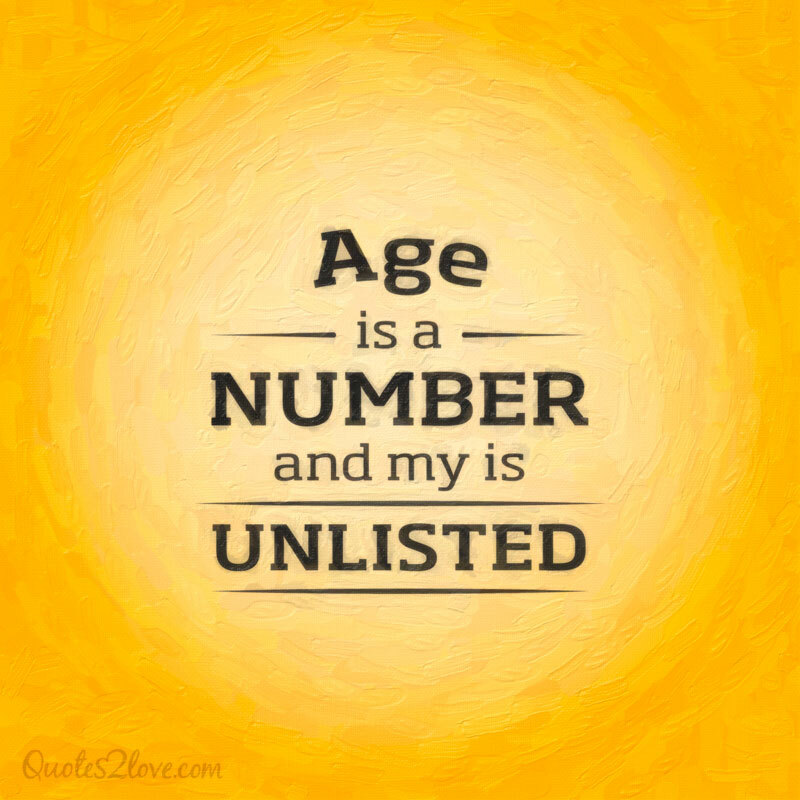 Put a smile on your friend’s face with a funny birthday quote they will not forget. 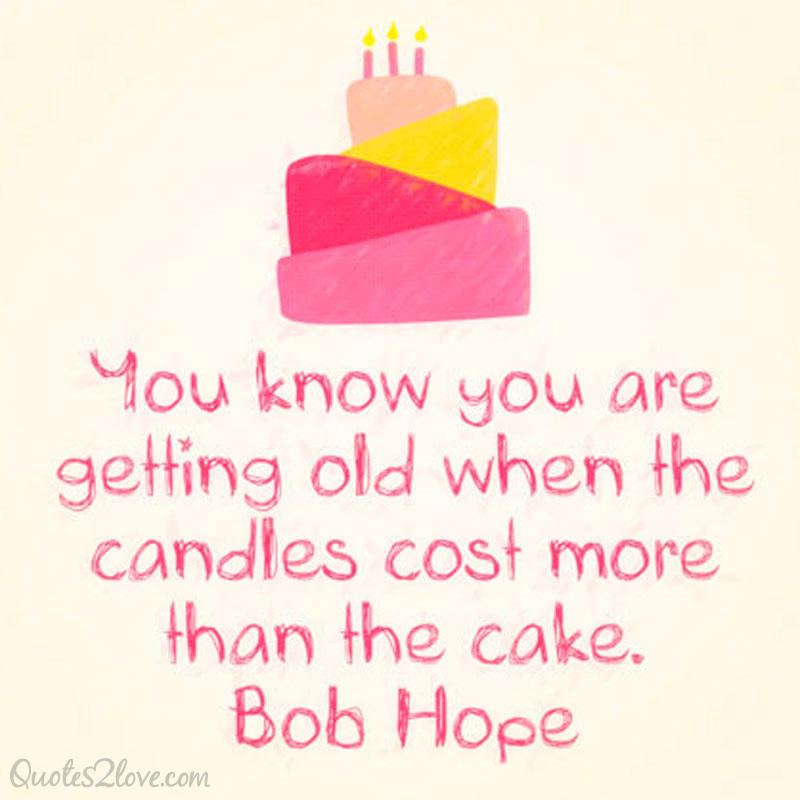 We simply love this birthday quote: A diplomatic husband said to his wife: How do you expect me to remember your birthday when you never look any older? 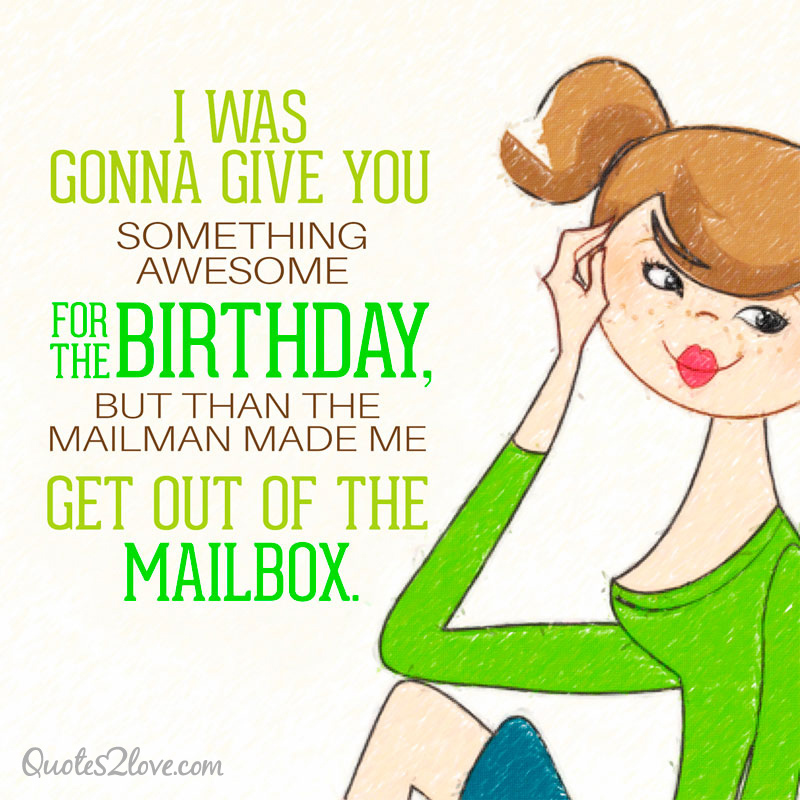 I was gonna give you something awesome for the birthday, but than the mailman made me get out of the mailbox. 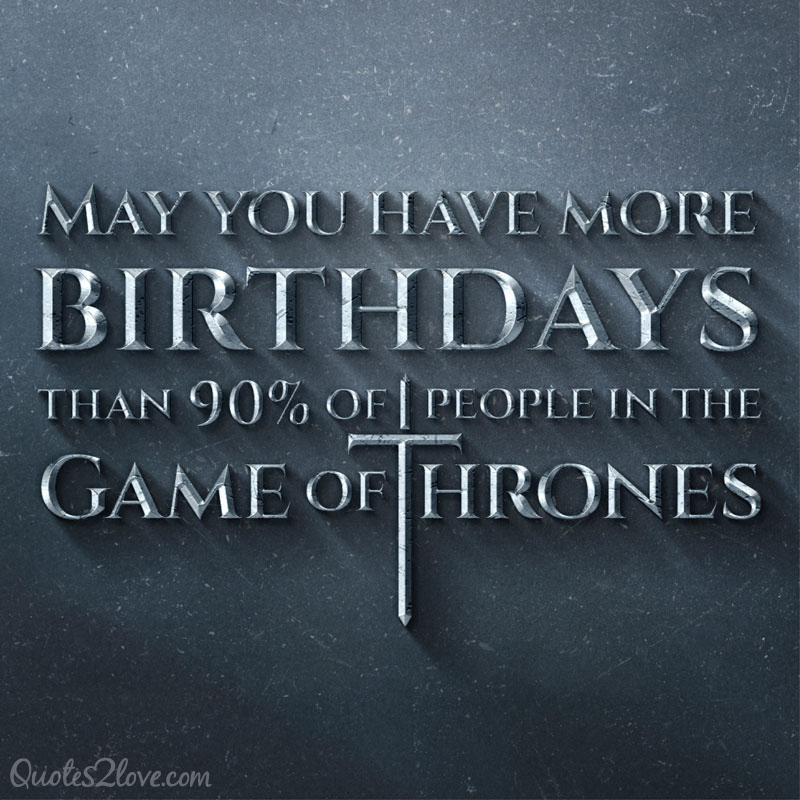 May you have more birthdays than 90% of the people in Game of Thrones!